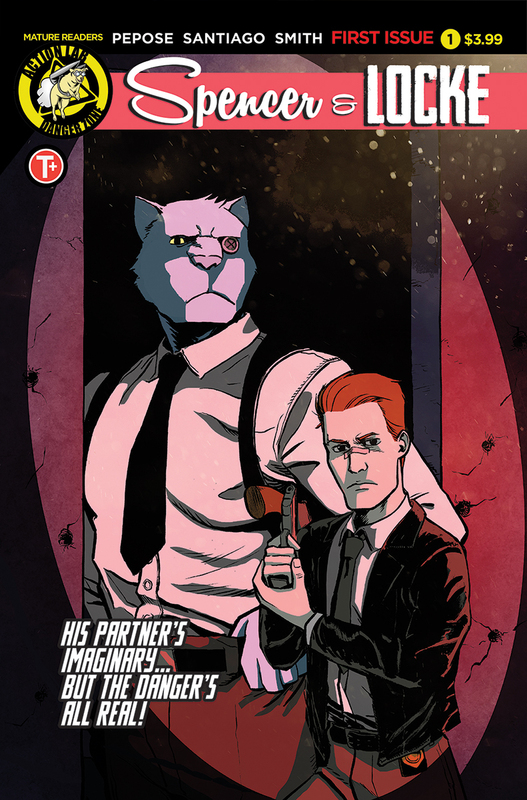 Spencer & Locke #1 - Advance Review - NewRetroWave - Stay Retro! | Live The 80's Dream! Noir is a tricky thing, particularly as a genre for comic books. On one hand, it depends very much on a series of tropes to act as signposts to help readers understand that a story is operating within the language and structure of a noir story. The unfortunate downside is that it often leaves a very limited amount of ground for a story to cover that hasn’t been covered by prior entries to the genre, and it has a tendency of leaving artists with a narrow frame to work within. 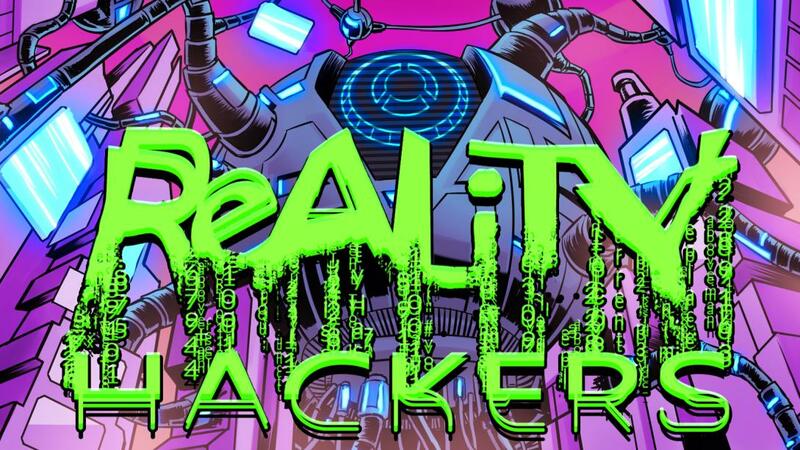 The debut issue of Action Lab Entertainment’s Spencer & Locke avoids the limits of noir conventions by either savagely throwing something unexpected at the reader or by weaponizing those conventions against the genre itself. In doing so, it accomplishes something that very few works of art can claim, being both immediately ambitious and immediately accessible. There’s a fan theory that Calvin from Calvin and Hobbes grows up to be the protagonist of Fight Club. That’s obviously ridiculous, as we all know Calvin would never be that into IKEA end tables. What he would grow into, however, is Locke, Spencer & Locke‘s main protagonist, as this issue shows a boy with extremely active imagination fully grown as a detective with his stuffed-panther-imaginary-friend Spencer still by his side in a surreal way. What comes off as creative and lighthearted as a boy is shown as something darker and more melancholic as an adult. This is a man who hasn’t grown out of his comfort item. Spencer & Locke #1 makes no direct answer to why its hero had and has such an intense need for a coping mechanism but scatters hints throughout its two dozen pages. That really highlights one of the best aspects of David Pepose’s writing in this book. There is a real awareness of when narrative elements should be subtle and when they should be, for lack of a better word, loud. In fact, as far as narrative flow is concerned, this is stronger than most of the titles coming from the best Marvel and DC have to offer. There’s a cinematic quality to the writing and the way that the scenes unfold. It manages to bounce from captivating mystery to dread to comedy to action to heart, something with which noir as a genre is consistently struggling. For a comic where one half of titular characters are stuffed panthers with a button for one eye, it is an intensely human affair. Pepose knows these character from the onset, so watching them wade through an increasingly deepening mystery is satisfying. Stylistically, the comic fluctuates between it’s two most obvious inspirations: Frank Miller’s Sin City and Bill Watterson’s Calvin & Hobbes. While in the present, artist Jorge Santiago deviates from the traditionally pulpy noir comic style enough that this series has a completely distinctive look. It’s impossible for it to be lost in the shuffle with other comics. Santiago helps keep the story in the difficult tonal space of being part bleak and part hopeful. When he renders scenes from the past, the Watterson inspiration is apparent. The tone is never lost in these aesthetic shuffles, and it pushes a comic that was already very good into the realm of being something quite special. This stylistic scattershot leads to one of the most memorable fight sequences at the climax of the book. All of this comes together for a comic where everything feels in its right place. 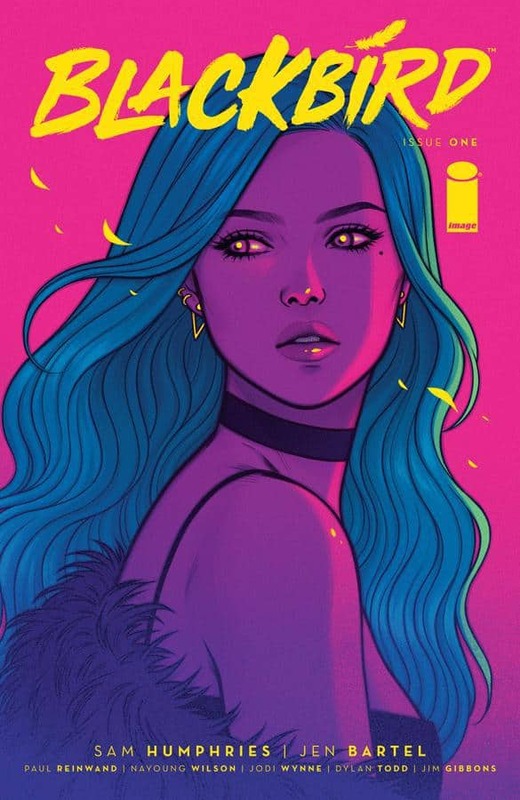 The exemplary storytelling and outstanding artwork make this a must-read that even casual comic fans will find gripping. It never pulls any punches but makes sure the reader knows that things are only going to get more intense in the subsequent issues. Spencer & Locke #1 comes out April 12th digitally and in print. 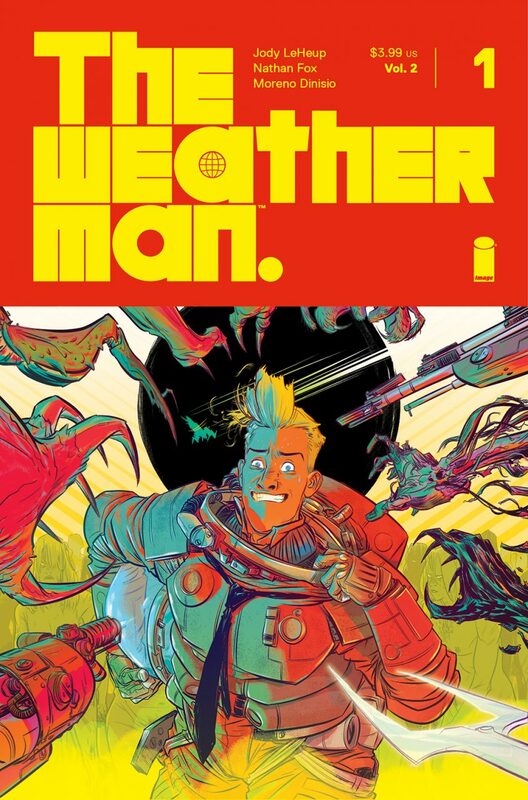 You can find your local comic shop here (http://www.comicshoplocator.com/Home/1/1/57/575) and ask them to carry the book if they aren’t planning on carrying it already.